Aran World is a leader for the Italian export and one of the first companies in designing, manufacturing and selling kitchens, office furniture and wardrobes. Solid and active for around 50 years, Aran World is the taste and quality of Italian furnishings in more than 120 countries around the world. ARAN 2: Aran assembled kitchens management and production department. ARAN 3: Newform knock-down kitchens production department. 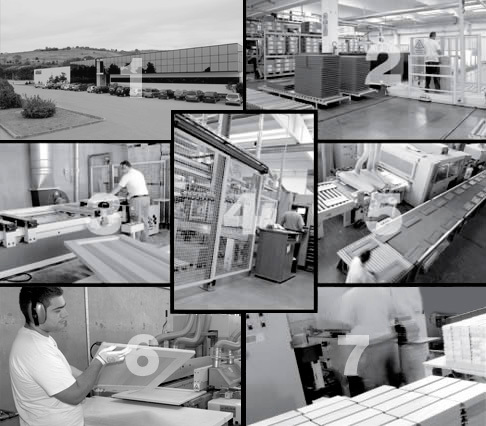 ARAN 4: worktops, panels and special elements production department. ARAN 5: doors and other wood furnishing accessories production department for kitchen cabinets. ARAN 6: doors warehouse and office furniture production department for “Newform Ufficio” brand. ARAN 7: semifinished products department for kitchens, office furniture, wardrobes and beds. After covering more than 120 countries over five continents, the firm from Abruzzo took advantage from a favourable economic trend that in the first years of the nineties saw the flourishing of the building construction market of luxury residential complexes, especially in America and in particular in the South of Florida. Since the beginning, several builders chose the Aran brand as their Made in Italy design icon. Aran kitchens began entering the luxurious apartments of exclusive American skyscrapers: in the famous Miami scenery, the kitchens from Abruzzo are installed in buildings such as the Trump Grande Ocean Resort & Residences, Skyline and The Bath Club. In a continuous expansion until now, Aran kitchens have passed Florida borders to enter the most important residential projects outside of North America. For example, Aran has kitchens in the Aqua in Punta del Este in Uruguay, Ten Tower in Panama and the Aura in Toronto. Even builders from the Middle and Far East love the “Made in Italy” concept. Aran kitchens are also installed in the Chinese complex of Moma in Beijing. Among the European projects we point out the Garden Residence in Lisbon, Portugal. In response to an always increasing flow of requests, Aran Cucine decided to create, inside its structure, a dedicated division for Contract. This provides a direct assistance to the customers of this peculiar market, who have specific requirements in terms of flexibility, product, service, lead time, and pre- and post-sale support, to continue writing this great history of success.